We are committed to providing innovative & modern solutions to solve storage and handling challenges. We will continue our successful traditions of integrity, attentiveness, and fairness as we achieve our goal of the largest Allied material handling company in the Central/South Atlantic. The profitability of your company is affected by your choice of an industrial shelving supplier. 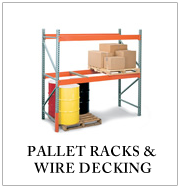 At Carolina Material Handling, we pay close attention to the total costs and only carry pallet racking systems that are dependable, affordable and leaders in the industry. 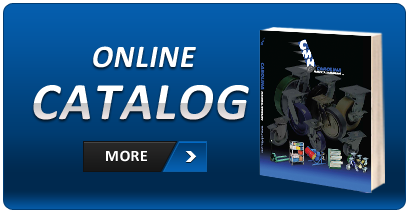 As leaders in the material handling systems industry, CMH provides an up to date, large catalog of available industrial supplies and materials handling equipment. From bins and boxes to wires and work benches, and everything in between, they provide high quality products for a variety of applications, such as warehousing, product distribution centers, storage facilities and more. 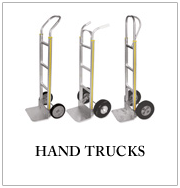 Conveyors, cranes, and forklift equipment are included in this list of useful material handling equipment. The wide selection of racks and shelving helps customers with a variety of configurations to meet their customized needs without extra costs. 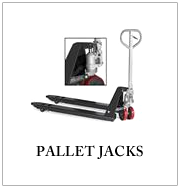 Materials handling supplies need to be high quality and sturdy to hold the heaviest pallets, and Carolina Material Handling only carries products that have been tested for durability. Their value savings infrastructure enables our customers to receive cost savings and reliable value with each purchase. With a variety of options and brands, you can find exactly what you need, every time, without having to search on multiple websites. When you visit the “In Stock” page of CMH’s website, you will find products that are currently in stock and ready to ship. 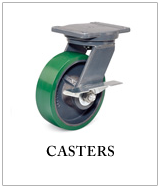 Light duty, medium duty, medium-heavy duty and heavy duty casters are available in a variety of sizes and capacities, as well as dock equipment, pallet racks and wire decking, pallet jacks and hand trucks. 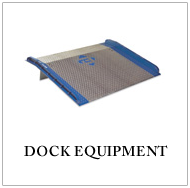 For products specifically for the federal government and military, visit the “Government Division” tab to find GSA government supply products, such as TA-50 lockers, drum handling, material lifts, pallet racks, self-dumping hoppers, and wire caging. There is also a section for Open Market Products, where you can search for items such as steel shelving, wire decking, mezzanine storage systems, and standard lockers. CMH’s government supply sales associates are available to answer any questions you may have about the equipment. The material handling equipment will help to prevent injury, so workers will not have to do a lot of bending and lifting, letting the equipment do it for them. Carolina Material Handling is honored to have these products available for the U.S. Military and the Federal Government. Keeping your construction site safe and compliant with a wide selection of commercial construction material handling equipment is essential. CMH’s products can provide washrooms and lockers that can easily be setup, as well as flag poles and fire extinguishers. Carolina Material Handling’s construction specialists will assist you with your product needs and arrange for expert installation to be scheduled on site. Carolina Material Handling is thankful for all of the customers, suppliers & employees for their trust and support. They are celebrating 40 years in the industry.